Be the first to hear about their new releases and deals. Download the Booksprout app and search for Tina Glasneck today! USA TODAY bestselling author Tina Glasneck is a writer, book lover, and caffeine addict. Her interests are diverse, as is her writing. 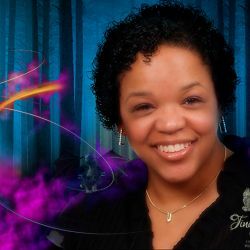 Combining her passions, she enjoys creating stories that span across the genres, including crime fiction, mystery, and thrillers, PNR and romantic fantasy.